American casino operator MGM Resorts International has reportedly inked deal that is to see it partner with local financial services firm Orix Corporation in hopes of bringing an integrated casino resort to the Japanese city of Osaka. According to a report from GGRAsia citing local media accounts, the alliance was revealed by Makoto Inoue, Chief Executive Officer for Tokyo-headquartered Orix Corporation, during a Friday briefing after purportedly being officially agreed in December. Las Vegas-based MGM Resorts International revealed in October of 2016 that it would be prepared to spend upwards of $10 billion via a publicly-traded real estate investment trust (REIT) on bringing an integrated casino resort to Japan although it detailed some 19 months later that it would subsequently not want to hold a marginal stake in any such facility. 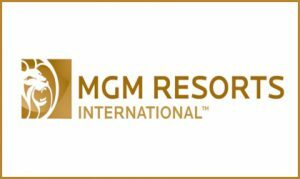 MGM is responsible for over 25 integrated casino resorts spread across the United States while its MGM China Holdings Limited subordinate runs the MGM Macau and MGM Cotai venues in the gambling hotspot of Macau. The American firm’s formation of a consortium comes as the government of Osaka is soon set to launch the ‘request for proposal’ phase of the casino licensing process with an eventual winner expected to be unveiled in about one year’s time.